Dozens of students from the University of Illinois Springfield ended their first week of the fall semester by giving back to the Springfield community. The annual Welcome Week Service-A-Thon benefited three local organizations: Habitat for Humanity of Sangamon County, Springfield School District 186’s AVID tutoring program, and Hospital Sister’s Mission Outreach. “The idea is to get students involved in service right away, so it’s something they’re thinking about as they move forward in the semester and throughout the year,” said Mark Dochterman, director of the UIS Volunteer & Civic Engagement Center. Students spent time helping Habitat for Humanity prepare a future home site located on North 5th Street in Springfield. The students moved a sign allowing construction trucks to access the property and cleaned up the site. Volunteers also spent time working at Habitat’s ReStore, aiding teachers by preparing AVID tutoring materials at four schools, and sorting medical supplies for shipment worldwide at Hospital Sister’s Mission Outreach. “I feel like if you’re a UIS student, if you’re in this community living here you should do all you can to improve your own community. Not only do you make it better for everyone else, but you also make it better for yourself,” said Timoteo Kelly, a UIS freshman. Each of this year’s projects falls under one of the UIS Volunteer &Civic Engagement Center’s areas of priority (Habitat – hunger and homelessness, AVID – youth and education, and Mission Outreach – public health). University of Illinois Springfield Chancellor Susan J. Koch hosted her annual Welcome Week picnic on the quad on August 28, 2012. “It’s just a great opportunity for everybody on campus employees, faculty, staff, and of course, most importantly students to get together and get to know each other all over again and look forward to the year,” said Koch. The picnic gives the campus community a chance to celebrate the start of a new academic year, while enjoying free food, friendship, and great entertainment. Senior Communication major Yvonne Barbosa had never been to the annual event, but now realizes she’s been missing out. She was one of many students who got to spend time speaking with Chancellor Koch. “I like it because she’s actually walking around somewhere and personalizing and getting herself familiar with the students,” said Barbosa. Chancellor Koch was joined by University of Illinois President Robert Easter at the event. He greeted the crowd, telling them how such an event would not be possible at a larger university. Overall, more than 800 people attended the annual picnic. 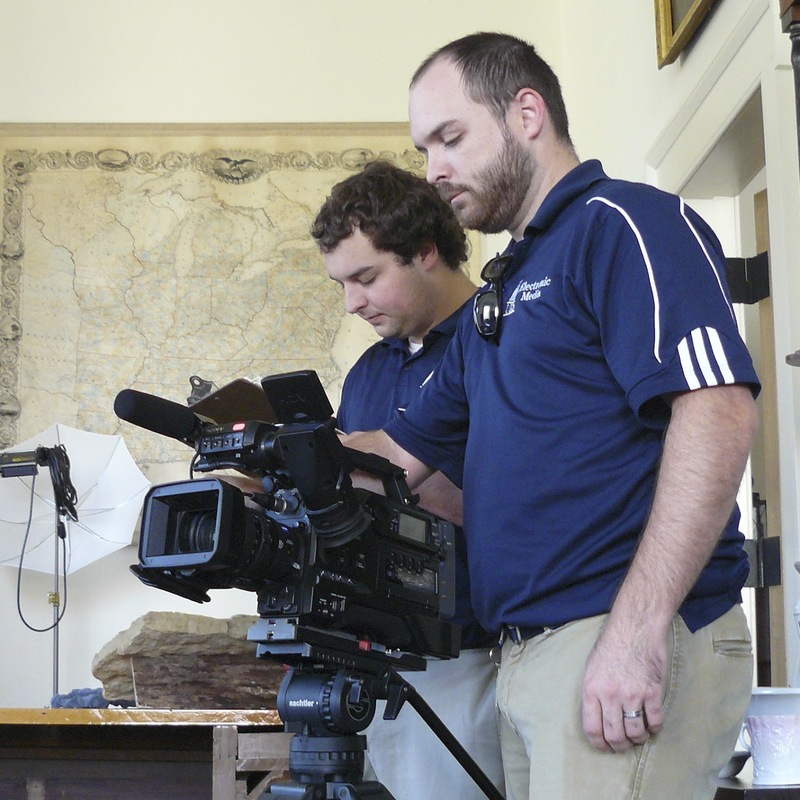 The University of Illinois Springfield is pleased to announce that it has received a Media Production maximum grant award of $5,000 from the Illinois Humanities Council (IHC) to support the production of The Old State Capitol: A Witness to History, a documentary on the Old State Capitol Building. In collaboration with Old State Capitol Site Manager Justin Blandford, local historian Tara McAndrew will write the script, with a final 55-minute video expected in 2013. In addition to being shown at the Old State Capitol, the video will be appropriate for public television. It could also be used by history and luncheon clubs, at library presentations, and on the internet. Plans are to distribute the documentary to schools throughout Illinois. Essential support for the project is also provided by the Shelby Cullom Davis Charitable Fund. The IHC’s Community Grants program is its oldest. Since 1974, the IHC has welcomed grant proposals from not-for-profit groups that have a story to tell about the state, or who have a way to use the humanities to enrich community life. Not-for-profit organizations may apply for Mini Grants up to $2,000 and Major Grants up to $10,000. For more information about the Illinois Humanities Council, please contact the IHC offices at 312/422-5580 or visit their website at www.prairie.org. University of Illinois Springfield is the liberal arts campus of the world-class University of Illinois. About 5,000 students enroll each year seeking a U of I degree but also the intimate learning environment of a private college. Located in the state capital, UIS has a special mission in public affairs and has produced thousands of leaders in government and non-profit organizations in Illinois. The Illinois Humanities Council is an independent, nonprofit state affiliate of the National Endowment for the Humanities, dedicated to fostering a culture in which the humanities are a vital part of the lives of individuals and communities. The IHC creates programs and funds organizations that promote greater understanding of, appreciation for, and involvement in the humanities by all Illinoisans, regardless of their economic resources, cultural background, or geographic location. The IHC is supported by state, federal, and private funds. The University of Illinois Springfield’s Therkildsen Field Station at Emiquon has been awarded a $23,280 grant from the National Science Foundation (NSF). The grant will help develop a practical plan for future research at the station over the next decade by fostering a dialogue among scientists, resource managers, and educators. The grant will allow UIS to directly support the research of scientists and students who are in residence at the field station, located near Lewistown, Ill. on the Illinois River. Staff will explore better ways to enhance the impact of Emiquon research by attracting more researchers, coordinating data management, and streamlining access to scientific results. The UIS Therkildsen Field Station at Emiquon was established in 2008 to help monitor, guide, document, and interpret the Emiquon restoration, a floodplain restoration effort that is among the largest in the nation. 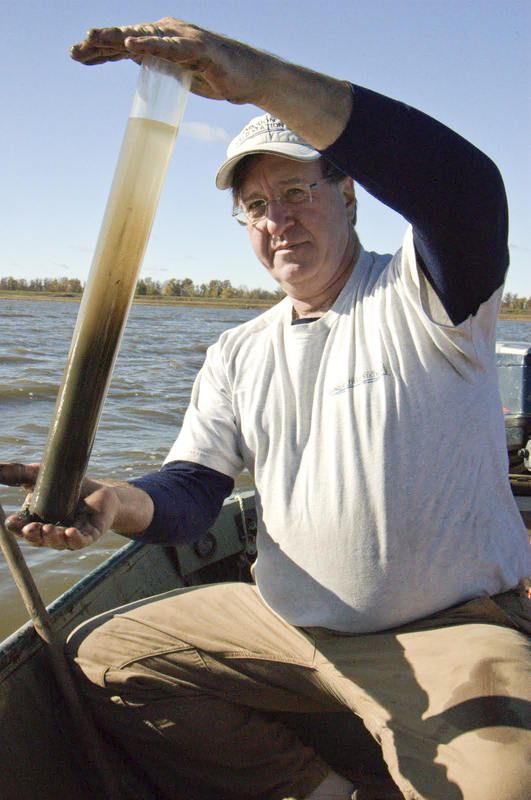 Researchers have a particular interest in the study of microbial communities and have facilitated an ongoing, long-term study of them at Emiquon. The grant will also allow the field station to strengthen its existing partnership with The Nature Conservancy (TNC), the Dickson Mounds Museum (DMM), and the U.S. Fish and Wildlife Service (USFWS). In 2000, TNC purchased over 7,000 acres and established the Emiquon Preserve. The USFWS established 2,114 acres of lands in a conservation effort that included the Emiquon National Wildlife Refuge and adjacent Chautauqua National Wildlife Refuge. Together, the USFWS and TNC are restoring land that was largely used for row crop agriculture, back into a mosaic of shallow lakes, wetlands, bottomland forest and tallgrass prairie that is now called the Emiquon Complex. DMM is adjacent to the restored area, and has long had an active interest in the history and archeology of Emiquon. Lemke is the principal investigator on the project and Keith Miller, associate director of the field station and computer science professor, is the co-principal investigator. For more information, contact Lemke at 217-206-7339 or mlemk1@uis.edu.